Applications are now open for the UK’s first access course in Islamic Education. The one-term course is aimed at graduates of traditional Islamic seminaries who have an interest in studying the theory and practice of education at university level. The course was developed after listening to the needs of community-based educational practitioners. Students who successfully complete the course will be eligible to progress onto one of the Masters courses offered by the Centre for Education Studies. The course is also open to those who have an interest in exploring the Muslim faith and its diverse traditions of education. The UK’s first access course in Islamic Education has been launched by the Centre for Education Studies at the University of Warwick. The short course is designed to bridge the gap between traditional Islamic seminaries and modern higher education, and is especially relevant to Muslim educators, faith leaders and graduates of traditional Islamic seminaries who want to continue their professional and academic development. There are more than 25 traditional Islamic Seminaries in the UK, teaching a programme broadly equivalent to a full-time undergraduate degree. However, seminary graduates face significant barriers to higher education and employment because the education they have received in the seminary system is not generally recognised in the mainstream UK education system. Dr Abdullah Sahin, Reader in Islamic Education in the Centre for Education Studies, and the driving force behind the new course, said: “This pioneering short course - the first of its kind to be offered in any UK University – was developed after a decade of research into exploring the needs of a large group of community-based education practitioners who feel they have been left out of the education system altogether. “The course is designed to bridge the gap between the educational cultures of traditional Islamic seminaries and modern higher education. We hope it will help to widen participation in higher education and make a significant contribution towards mainstreaming traditional Islamic higher education. Students enrolled on the course will gain reflective pedagogic competence, develop their social science research skills and engage with the foundations of spiritual and critical education in Islam. Successful completion enables progression onto the Islamic Education pathway in MA in Religions, Society and Education as well as other MA programmed offered at the CES. The University of Warwick is one of the first UK universities to recognise Islamic Education as an academic field of research and teaching. The Warwick Islamic Education Project, part of the Warwick Religions and Education Research Unit (WRERU) within the Centre for Education Studies, aims to establish a hub of excellence in research and teaching on Islamic education, to open up professional development pathways for practitioners, and to encourage research-based, reflective practice in Islamic educational settings. 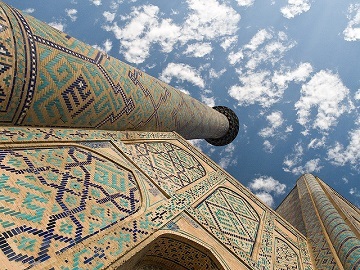 PHOTO: A view of the Ulugbek Madrassa, Samarkand. By flickr user Gusjer, used under Creative Commons. The Warwick Islamic Education Project aims to establish a hub of excellence in research and teaching on Islamic education, to open up professional development pathways for practitioners, and to encourage research-based, reflective practice in Islamic educational settings. It is part of the Warwick Religions and Education Research Unit (WRERU) within the Centre for Education Studies. The Project signifies a model university-community collaboration and aims to facilitate engagement with the educational challenges facing British and European Muslim communities, widening participation with mainstream higher education institutions, and contributing to the achievement of social cohesion and meaningful coexistence within the context of the modern world. The Third CES/WRERU Islamic Education Summer School will focus on Muslim female faith and educational leadership within the European Muslim Diaspora. It takes place from 3 - 5 September 2018 at the University of Warwick. Click here for more information, or to register.